The Cathedral has a remarkable history that began in the 11th century. Richard the Lionheart‘s heart is buried here as was his wish. Joan of Arc was burned at the stake in Rouen and a chapel in the cathedral is dedicated to her. Monet painted it more than 30 times in various seasons and times of the day – such was his fascination with light reflections, and atmospheric conditions playing off the West façade. 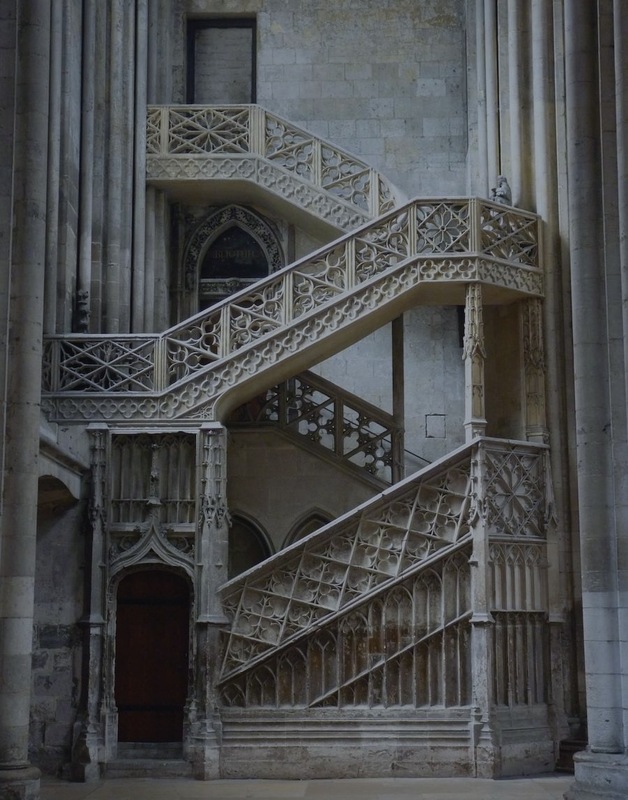 It is wonderfully described by British travel writer Mary Anne Evans as a “glorious, flamboyant, Gothic extravaganza”. 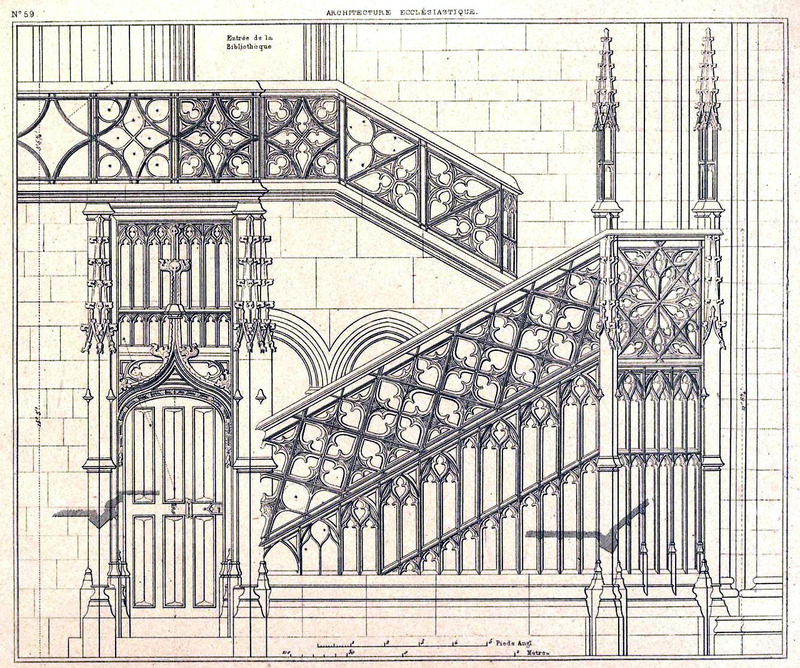 The Library staircase was designed by Guillaume Pontis in the 15th century. Love the photo of the stairs, and your text!